Success! 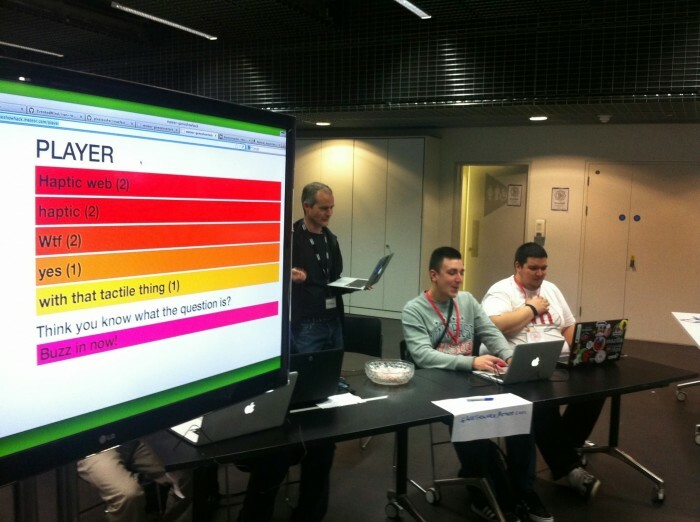 The Mozilla Festival 2013 went very well, we created an online gameshow from scratch (including controllers) in about 2 hours and then played it! Thanks to everyone who participated, and especially Oli Evans, Alan Shaw, James Uren, and Will Pearson for hosting the quiz. The github repository for the gameshow hack project. Evan’s photos from the gameshow hack. Alan’s photos from the gameshow hack. UPDATE: Some photos from Mozilla’s account!